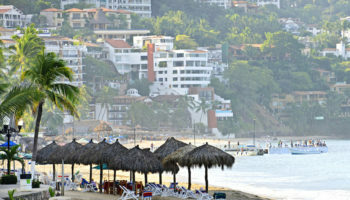 Millions of people visit Mexico every year for a variety of reasons. Some come for the beautiful beaches, and others come for the fantastic cuisine. 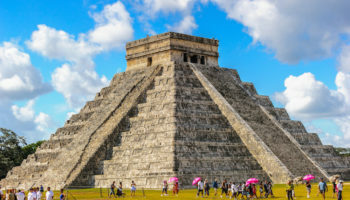 If you’re interested in the pre-columbian history and culture of this Latin American country, then you’ll want to explore some of the many Mayan ruins in Mexico. 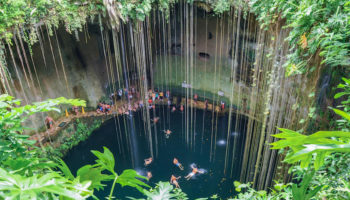 The Mayan people were one of the biggest groups living in Mesoamerica in centuries past, and their influences are still visible throughout the region. You’ll have the chance to visit incredible Mayan pyramids, historic landmarks and cultural attractions. 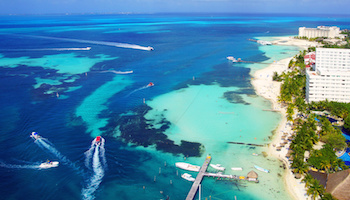 Don’t miss these must-see Mayan sites found in Mexico. In the Yucatan Peninsula, just south of Merida, is Mayapan. These ruins represent the last truly thriving Mayan community in Mexico before the Spanish came to the region. Historians estimate that Mayapan is just over 1,000 years old, and at its peak more than 17,000 people lived there. Today, Mayapan is enclosed by a wall, and inside that wall are more than 4,000 structures. You’ll find pyramids, temples, shrines and homes made from limestone. This is also an active archeological site, so expect to see ongoing digs as people work tirelessly to excavate more clues about this fascinating site. In Chiapas, next to Mexico’s border with Guatemala, you’ll find the Mayan site called Yaxchilan. Thanks to its location on the banks of the Usumacinta River, this settlement was hugely important in Mayan culture for political and trading reasons. 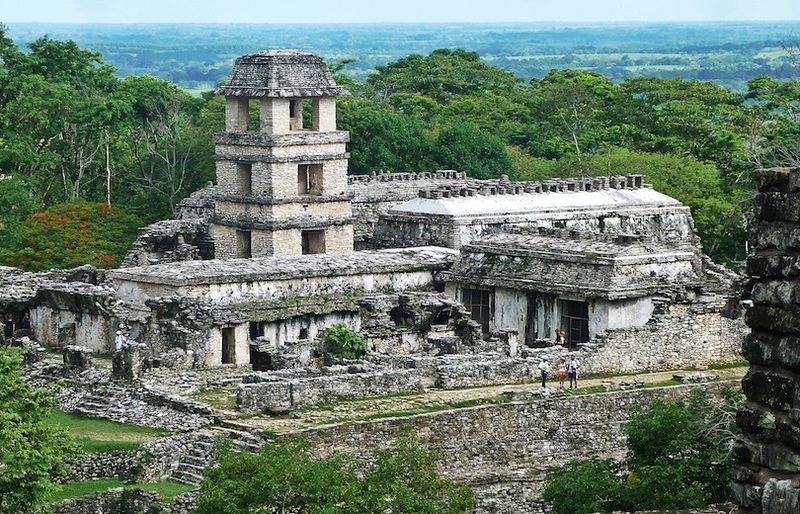 Over 120 structures make up Yaxchilan, and they are grouped into three main sections: The Grand Acropolis, the Small Acropolis and the Great Plaza. Arrive at the site by boat from Frontera Corozal, and then pay close attention to the ball courts and the architecture of Yaxchilan. 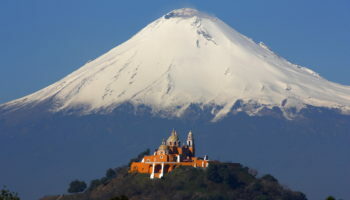 Of note are the carved hieroglyphic stairways that depict Mayan history. 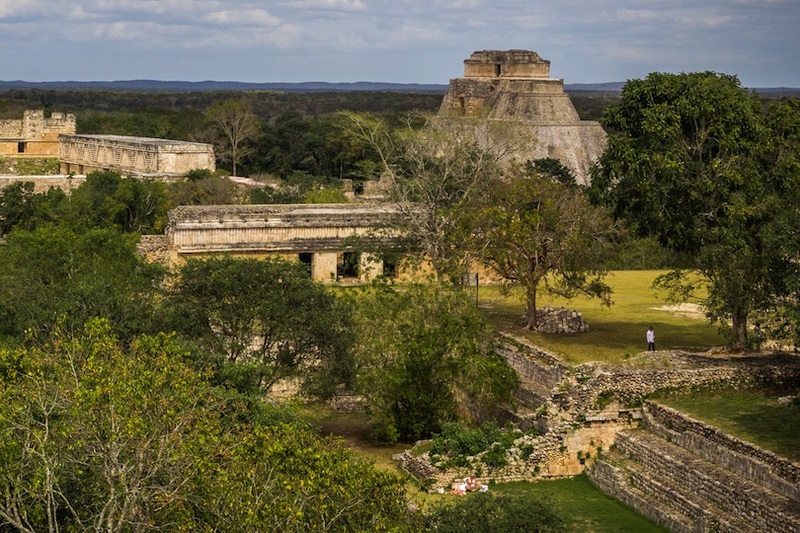 One of Mexico’s most popular archeological sites is Ek Balam. Over 1,200 years ago, more than 20,000 Mayans called the settlement their home. The site was recently reconstructed, which makes is easier to imagine what Ek Balam looked like in the past. Unlike at many other Mayan sites, the statues and monuments at Ek Balam are wonderfully preserved. You can even still read some of the hieroglyphic inscriptions on the buildings and the statues. Combine your visit to Ek Balam with the nearby cenote, an underground cave that you can access thanks to a five-minute rickshaw ride from the site. Between the destinations of Chetumal and Escárcega on the Yucatan Peninsula, are several Mayan sites. 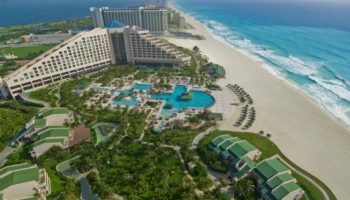 If you’re heading to this area, you’ll want to stop by Becan. This is an unusual Mayan site because while most of the wall is gone, it is still surrounded by a moat. Becan was established more than 2,500 years ago, and it was both a residential area and a place of ceremonial importance. 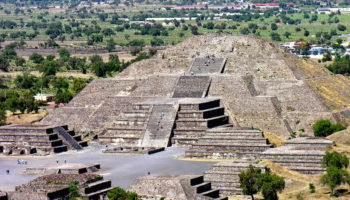 When you visit, expect to spend at least two hours touring the 20 buildings in the archeological park, including public plazas, crumbling staircases, underground tunnels and pyramids. An hour’s drive from the city of Campeche is Edzna, a Mayan site with a rich history. The name means that the site was the House of the Itzás, and it may have been a precursor to the much more famous Chichen Itzá. The settlement was abandoned in the 15th century with little explanation, adding an air of mystery to Edzna. 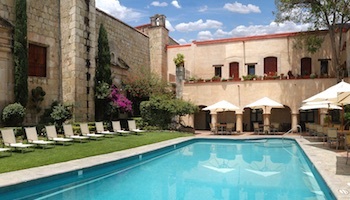 Don’t miss the palace, the Temple of the Masks and the Gran Acropolis. The Small Acropolis is also interesting because they offer a view of the city, making it a perfect spot to take photographs. Deep in the jungles of Quintana Roo is Coba, one of the largest and most fascinating Mayan ruins in Mexico. At its peak, Coba was home to more than 50,000 people, which means that it was incredibly significant to Mayan culture and society. The site of Coba is sprawling, and only a small portion of the ruins have been cleared, with the rest still overgrown in the jungle. 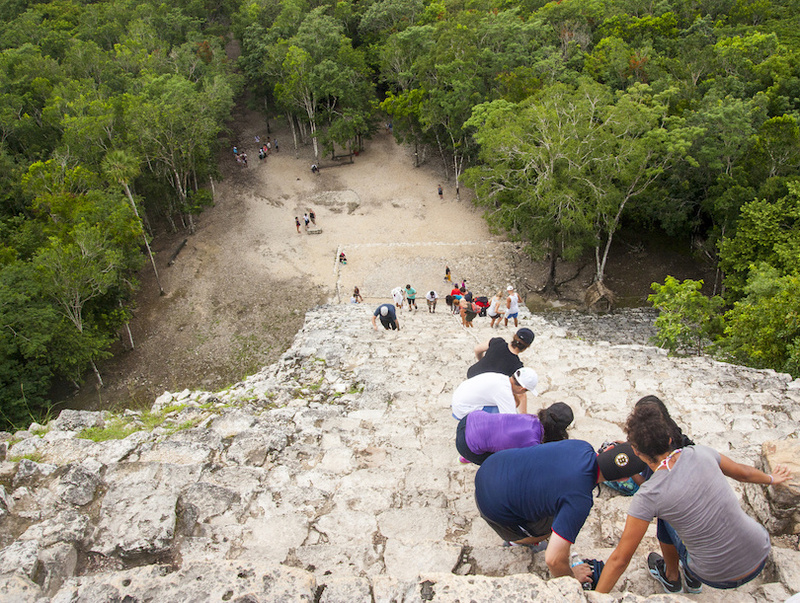 While at Coba, you can climb the Nohuch Mul pyramid for incredible views over the surrounding landscape. Don’t miss the ball court and the elevated roads that emanate from the settlement to nearby Mayan destinations. Bonampak translates into English as Painted Wall, so it shouldn’t come as a surprise to learn that this Mayan site boasts a collection of colorful murals. 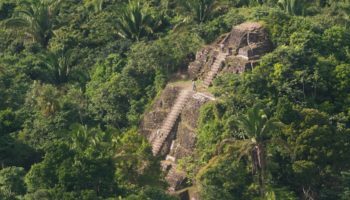 Located in Chiapas just a short drive from Yaxchilan, Bonampak is set in the jungle off a tributary of the Usumacinta River. The jungle setting, and wildlife that call the area home, are just as fascinating to visitors as the Mayan ruins themselves. A highlight of visiting Bonampak is the Temple of the Murals, whose interior walls showcase some of the best examples of Mayan painting anywhere in the world. Another of the most visited Mayan sites in Mexico is Tulum. The ruins are relatively small, but they are right on the coast of Caribbean beaches, creating truly spectacular scenery. The destination of Tulum can be divided into three sections: The beach, the old town and the ruins. The Tulum Ruinas, as they are known in Spanish, are perched on sea cliffs. You’ll be able to tour the Temple of the Frescoes, see the thick wall that protected the settlement and still stands today, and admire the iconic shrine. Tulum does get quite busy since it is a major tourism spot, but getting there early can result in far fewer crowds. In the Mayan language, the word Uxmal means Built Three Times. Uxmal is arguably one of the most preserved Mayan sites in Mexico, and it has been expertly restored at big expense. Uxmal boasts numerous architectural styles, revealing that construction went on for many centuries. The House of the Magician is the tallest and most impressive structure at Uxmal, and legend says that it was built in just one night. Uxmal is also home to one of the largest remaining Mayan ball courts. 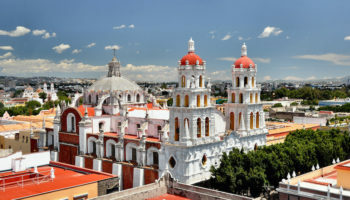 Don’t leave without seeing the Nunnery, the Governor’s Palace or the House of Turtles. Calakmul is a huge site found in the Calakmul Biosphere Reserve. This is a vast space with countless buildings, but most are still just mounds covered by centuries of dirt and jungle expansion. The Great Pyramid has been uncovered and is now a major attraction, since it is the largest of all known Mayan pyramids. Climb to the top of the pyramid and enter the palace from which you can see over the jungle and all the way across the border to Guatemala. Exploring the site is almost overwhelming because of the sheer size, so treat the jungle as its own attraction full of lush greenery and an abundance of wildlife. Another Mayan site found in Chiapas is Palenque. 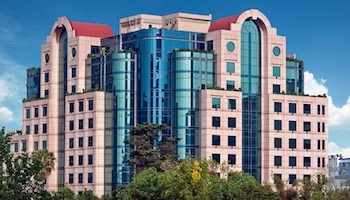 There are two major reasons to visit this particular site above others. First, it is known for some of the finest architecture and sculptures the Maya ever produced. Second, it is also home to an enormous national park that is a must-see spot for nature lovers. Palenque boasts a number of excavated tombs, many of which contain historic artifacts. You can admire the stone hieroglyphic panels found within the Templo do las Inscripciones, see the fine sculptures within El Palacio and explore several groupings of smaller temples. As one of the New Seven Wonders of the World, Chichen Itza is Mexico’s most famous Mayan city, attracting lots of visitors each year. Whether you are planning to explore on your own or take a guided tour, come prepared to do a lot of walking. 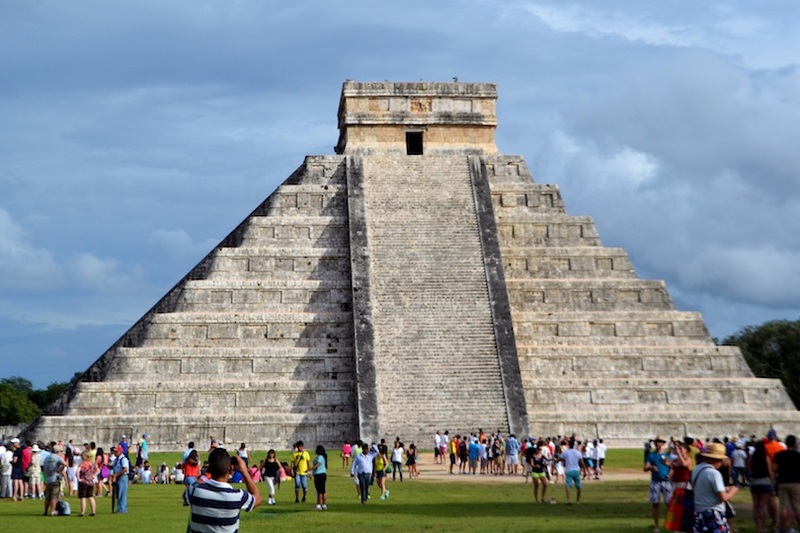 The main attraction at Chichen Itza is El Castillo, or the Pyramid of Kukulcan. Amazingly, there is another temple constructed within El Castillo, called the interior temple, that is even older. While in Chichen Itza, you should see the Great Ballcourt, admire the murals in the Temple of Jaguars, and check out the Cenote of Sacrifice. Those are fantastic picks, and although I’ve seen many of these, you listed a stunning few that are now on my list! I’m also interested in Kohunlich and Chacchoben, in the southern Yucatan that weren’t on this list. I guess they’re smaller sites, and less visited (which is maybe a good thing). 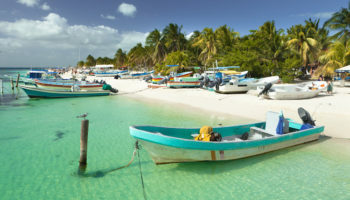 I’m looking forward to visiting Edzna next time I’m near Campeche!